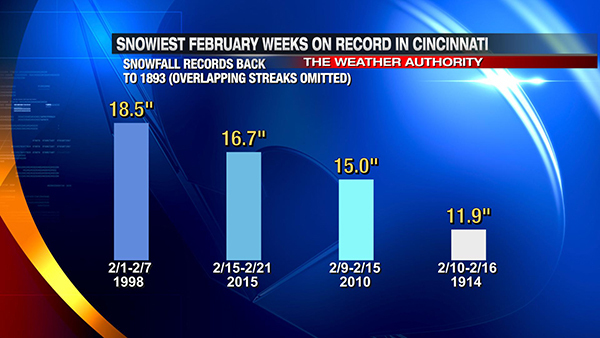 It’s worth noting that more snow has fallen in the first 21 days of February 2015 (18.6″) than falls during meteorological winter on average (18.1″). 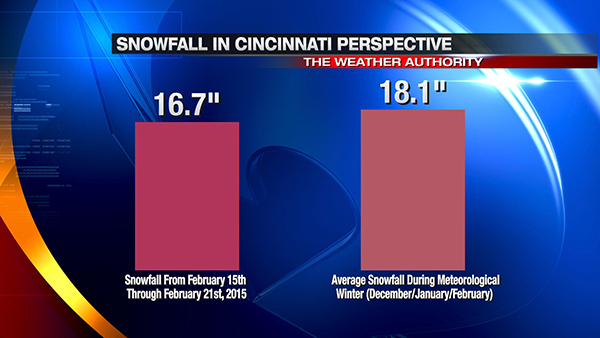 The snowfall total for meteorological winter 2014-2015 through February 21st is 19.9″. 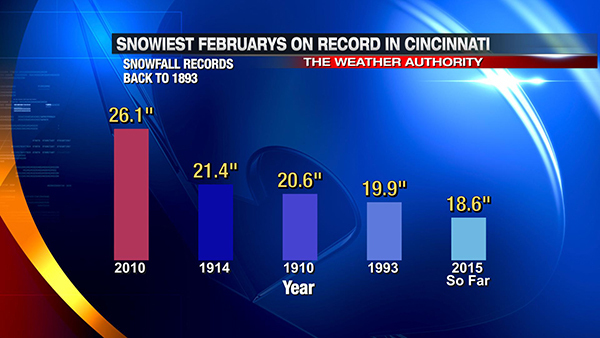 The seasonal snowfall total through February 21st is now up to 25.0″. 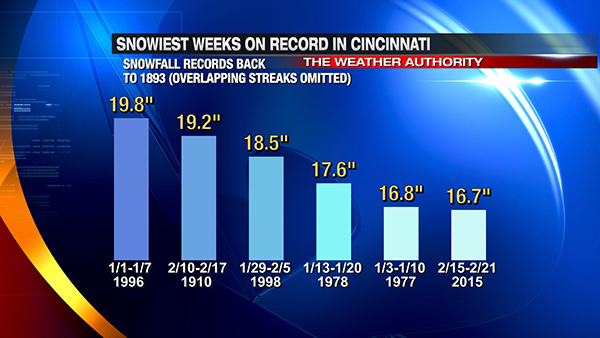 On average, 22.5″ of snowfall is recorded in Cincinnati from one summer to the next. All snow that accumulates for the rest of the winter and spring just adds to the surplus. 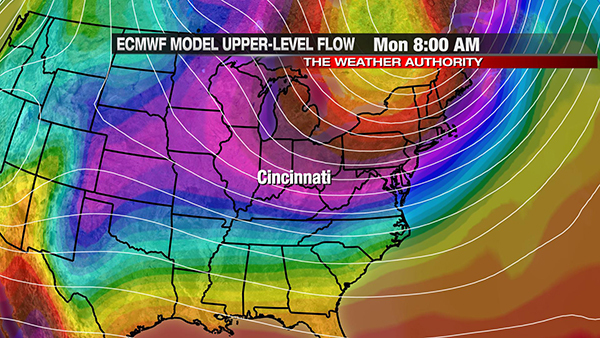 The first blast of arctic air will likely bring temperatures of -5° to 5° to the Tri-State early Monday and Tuesday morning. 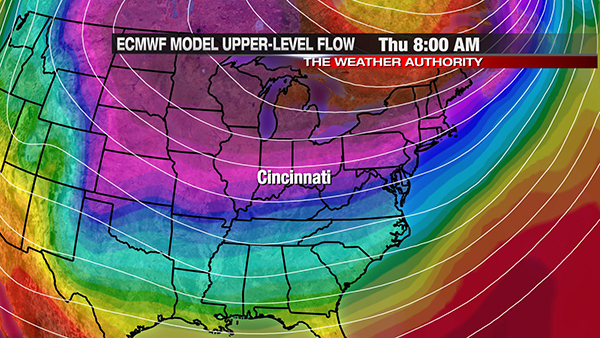 The second blast will bring temperatures back into this range Thursday and Friday morning. 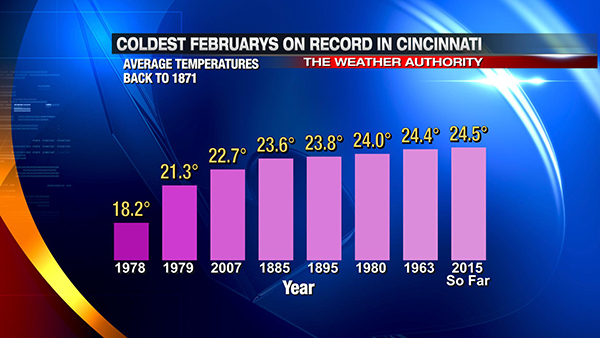 Winter is far from over. 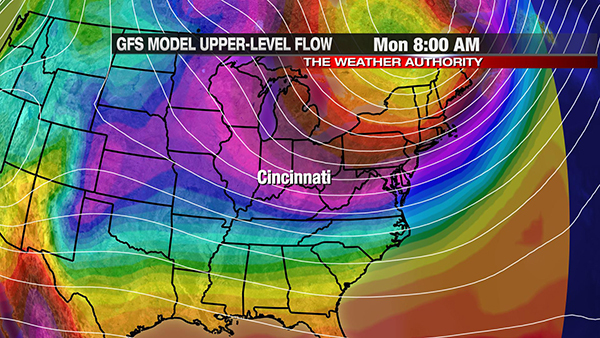 At least a few more waves of very cold air and snowy will swing into and through the Ohio Valley during the next 2 months. 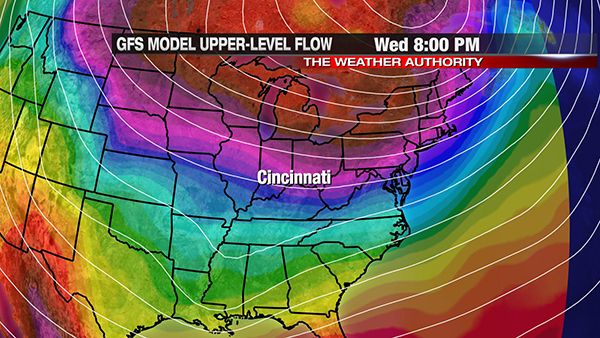 Temperatures will moderate some in March, but cold will win out for the next several weeks.